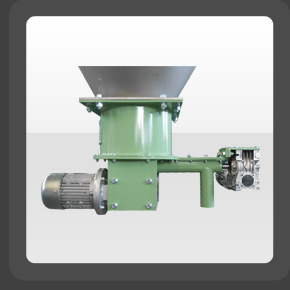 The Stanelle discharge vibrating cage functions as a discharge aid for all poorly flowing, bridge building, dry, dust-like to granular bulk goods. Major advantage over air operated systems is that the discharged bulk materials do not contain fluidizing air. This has positive effects during bagging as well as when loading special bulk materials into silo vehicles. 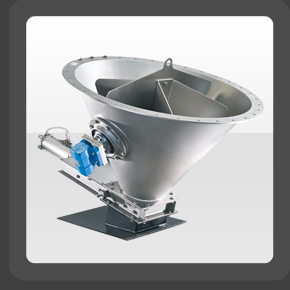 The flanged design with 60Â° discharge can be easily attached or retrofitted to any silo or bunker. Depending on the area of application, the ASK can be furnished in steel, stainless steel, as well as with motors with various power ratings and voltages. 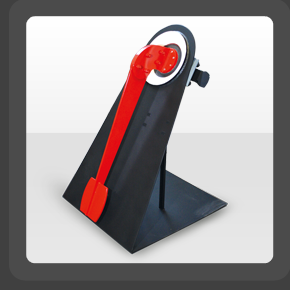 Subsequent components can be mounted to the vibrating cone without additional support. The Stanelle vibrating boom SVA functions as a discharge aid for bridge building, dry, powdery to granular bulk goods. It can be attached to square bunkers and special discharges and retrofitted easily to existing silos and bunkers. The vibrating boom can be fitted with variable vibration motors for precise actuation. The Stanelle discharging and doeing device SADSAD 300/65 will be used for discharging of very hard flowing bulk products out of silos or bunkers. The SAD is very suitable for handling of quick lime, activated carbon, gypsum etc. The vertical agitator is driven by a gear motor separately. It breaks up the product and loosen the product in the outlet area. A steady and smooth discharge will be ensured out of a silo or bunker . The horiozontal discharge and dosing screw is designed with a progessive pitch. It allows a controlled discharge with constant volume flows The screw is driven by a gear motor which is designed for operation at a frequency converter. A variable operation is possible to realise volume flows 15 up to 75 liter/h.